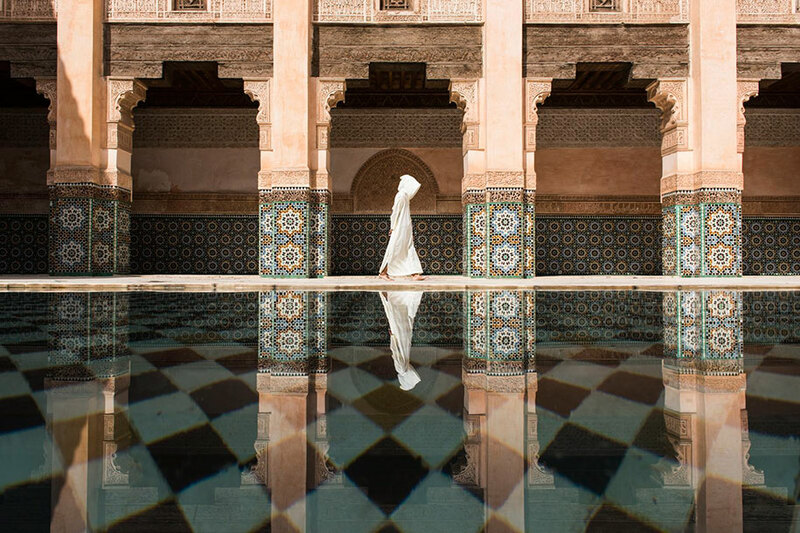 The time has come for National Geographic to reveal the best travel photos of the year 2016. 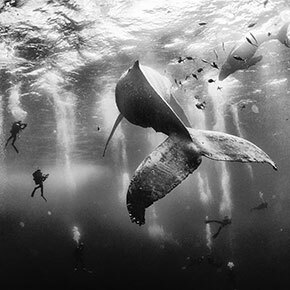 10,000 photos entered the competition, and here we present to you 10 of the very best. 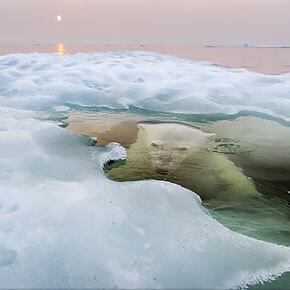 Besides the recognition, the photographers were competing for the grand prize of a 7-day Polar Bear Photo Safari. 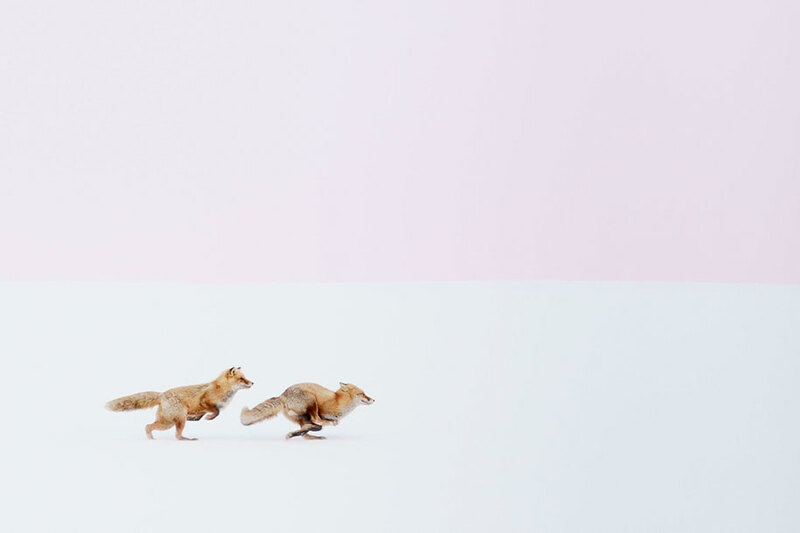 Among the most serious contenders there was Hiroki Inoue who photographed wild foxes chasing each other in a fairytale-like background in Hokkaido, Japan. 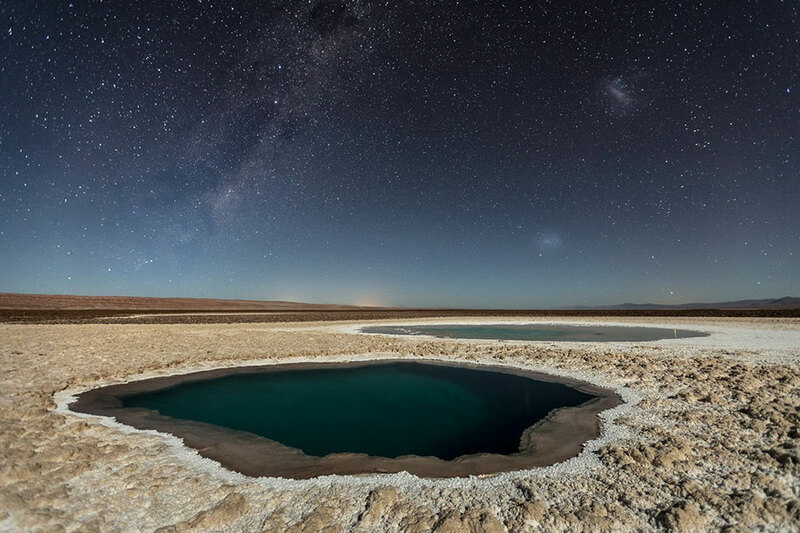 And Victor Lima chipped in with his otherworldly portrait of the Atacama desert. 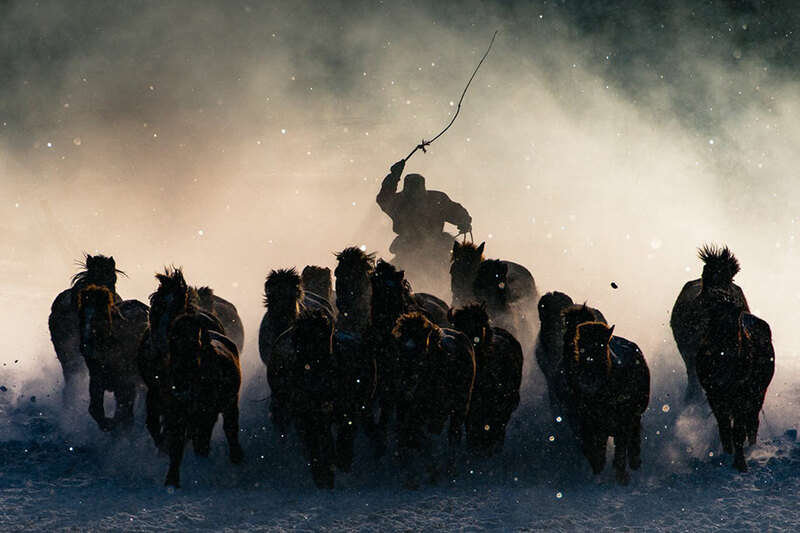 But the winner of the grand prize was Anthony Lau with Winter Horseman where he captured a surreal scene of horse herding in Inner Mongolia. But enough blabbering, because as they say, a picture is worth a thousand words. So scroll down to see the winners for yourself. Curious who won last year? Take a look here. The winter in Inner Mongolia is very unforgiving. At a freezing temperature of minus twenty and lower, with a constant breeze of snow from all direction, it was pretty hard to convince myself to get out of the car and take photos. When I saw Inner Mongolia horsemen showing off their skills and commanding the steed from a distance. I quickly grabbed my telephoto lens and captured the moment when one of the horseman charged out from morning mist. Even though there were a lot of people in Ben Youssef, still here was more quiet and relaxing compared to the street outside in Marrakesh. 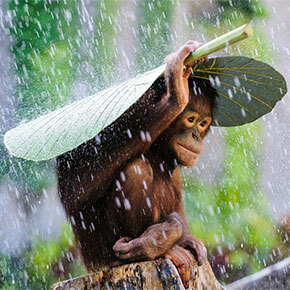 I was waiting for the perfect timing to photograph for a long time. 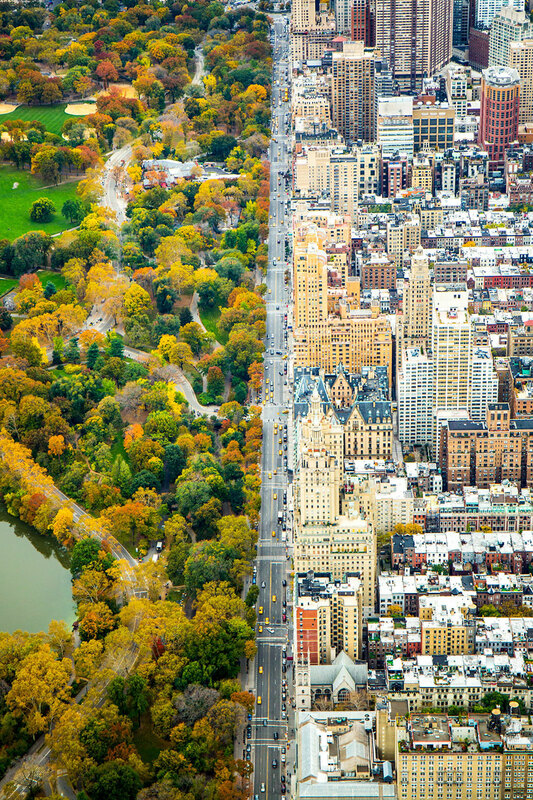 In the helicopter looking south on Central Park West – dividing the architecture and Central Park, on November 5th 2014, a day before my 27th birthday. The flight was my birthday gift. This photo was taken far out on the sea ice in the Davis Straight off the coast of Baffin Island. 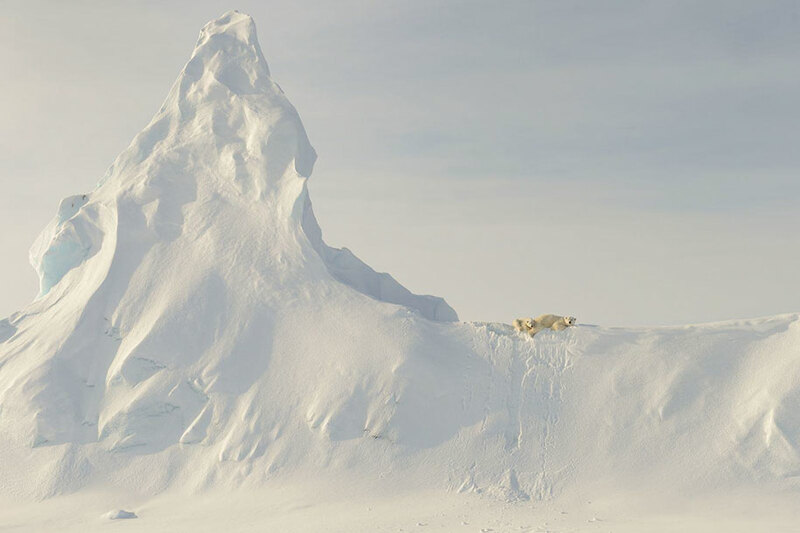 This mother polar bear and her yearling are perched atop a huge snow covered iceberg that got “socked in” when the ocean froze over for the winter. To me, the relative “smallness” of these large creatures when compared to the immensity of the iceberg in the photo represents the precariousness of the polar bear’s reliance on the sea and sea ice for its existence. I arrived at my guest house in Varanasi at 5:30am, I instinctively climbed the 7 sets of stairs to the rooftop (which happened to be the highest in the vicinity) to see the sunrise over the famous Ganges River. As the sun was rising I looked over the right hand side of the balcony and my jaw dropped with disbelief. 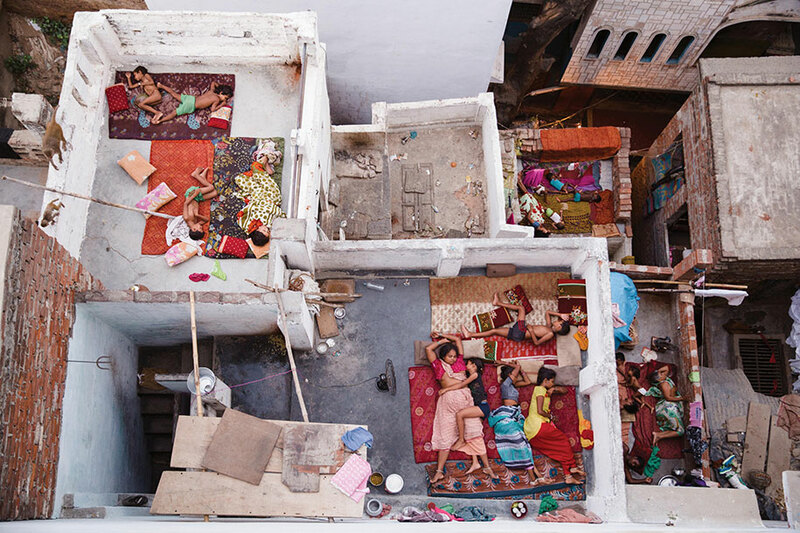 Below were families – mothers, fathers, children, brothers, sister and dogs all sleeping on the top of their houses. It was mid summer in Varanasi and sleeping sans AC was difficult. Kinnaura tribal old women in remote village in Himachal Pradesh carrying big log back home to warm up her house. The Baltinache Ponds, also called Hidden Ponds are a set of seven salt ponds located in the area of the Salt Cordillera, near San Pedro de Atacama, in the second region of northern Chile, in the Atacama desert. After much research, I believe to be the first photographer to publish night photos of this place, but it is still necessary to confirm this information. Tech Details: Photography done in one shot. Foreground was illuminated by the moonlight. 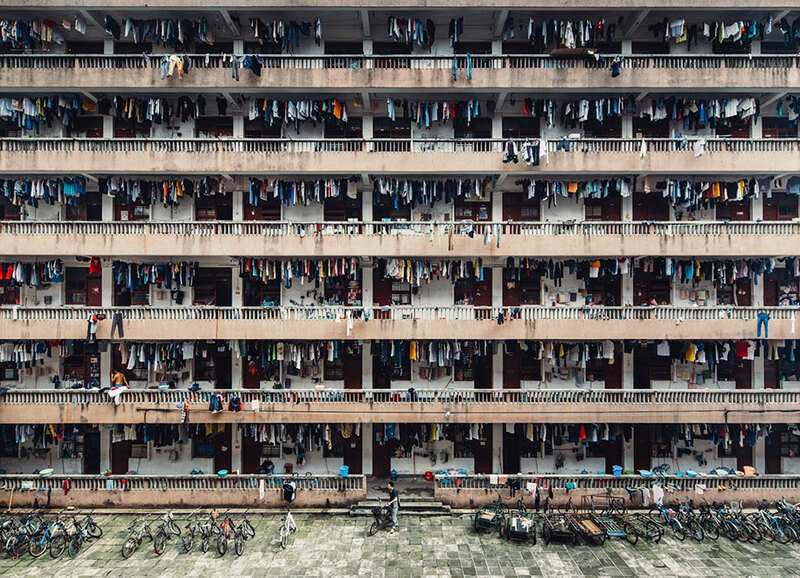 This photo was taken on my last trip to Guangzhou, China. This place is the school dormitories of South China Normal University. When I was hanging around, most of them were taking a break. After lunchtime, they needed to go back to study. 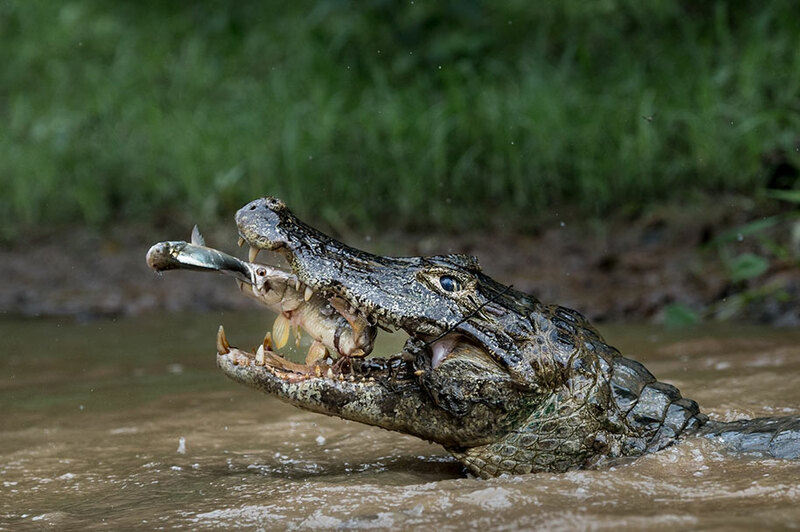 Image source: Wing Ka H.
Picture taken in the Brazilian Pantanal when I downloaded the CF did not want to believe it. 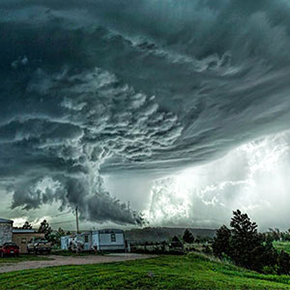 The nature knows we always give magnificent events but sometimes extraordinary. 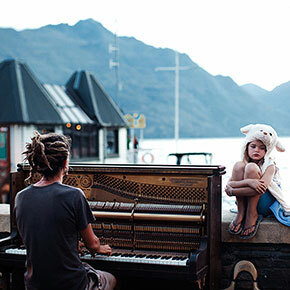 Take a look at the best contenders midway into the competition.